A trusted companion for alpine adventures of any kind, the merino-insulated Hyperia Lite Vest provides a technical dose of core warmth in a compressible, lightweight design. The Hyperia’s ultralight yet durable Pertex® Quantum Air shell features a DWR finish that sheds variable conditions. Inside, Icebreaker used their innovative MerinoLOFT™ insulation, a sustainable and high-lofting alternative to synthetic fills made from all-natural merino wool (up to 10% of which is recycled). MerinoLOFT retains warmth when wet and naturally helps regulate body temperature to keep you comfortable from high alpine hikes to mid-winter ski tours. Zippered hand pockets and an internal zip pocket store small essentials, offset shoulder seams eliminate chafing when you’re climbing, skiing or hiking with a pack, and the vest stows in its internal pocket for compact carrying. Hyperia Lite Vest - Mens is rated 4.8 out of 5 by 6. Rated 4 out of 5 by Ravi from I really like this vest This vest is a great alternative to down, very warm yet not bulky. It can be packed, into a built in pocket, for compact storage. I use this at work in addition to my uniform because it's breathable and very warm. Rated 5 out of 5 by JulienB from Outdoor and streetwear This vest is awesome worn for outdoors as well as worn under my urban winter coat. It's slim and lightweight but is nice and warm. I used it under my winter coat when it was -25 in Ottawa. Rated 5 out of 5 by CypressMtnSki from Comfortable lightweight and warm vest Perfect fit for for my long sleeve shirts and sweaters. I love the simple design. Haven't used it for skiing yet. Rated 5 out of 5 by Iliketoski from Great Vest for skiing or hiking I am very pleased with this vest. It fits well and will get a lot of use this ski season. Rated 5 out of 5 by JoeF from So comfortable. 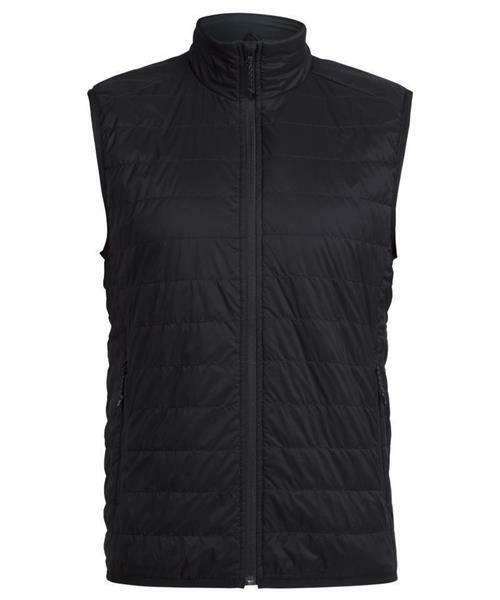 This vest is extremely light and comfortable. It feels top notch in terms of quality. Rated 5 out of 5 by Ludovic from Perfect for city and outdoors designed for adventure but perfect and stylish for city as well! Great product.